Guest Speaker for the Knitting Guild meeting! We will have Guest Speaker Chauntel Ensey join us and discuss her knitting, design process and the knitting industry! We are super excited, feel free to invite extra friends! And, since the Central KS Yarn Hop & Knitting Retreat are right around the corner, we will highlight our favorite gift-knitting patterns..to help inspire you & help decide between all of those awesome yarn purchases (and not just stash-enhancement)! PS-We will also have the final details for the Knitting Retreat in November, plus an exciting announcement regarding a guest speaker for our October Guild meeting! PSS- There is a possibility that the Courthouse will still be under construction next week. If so, we will post the new location details on our website, Facebook & Ravelry Group pages! Previous Previous post: Retreat Registration Now Open! 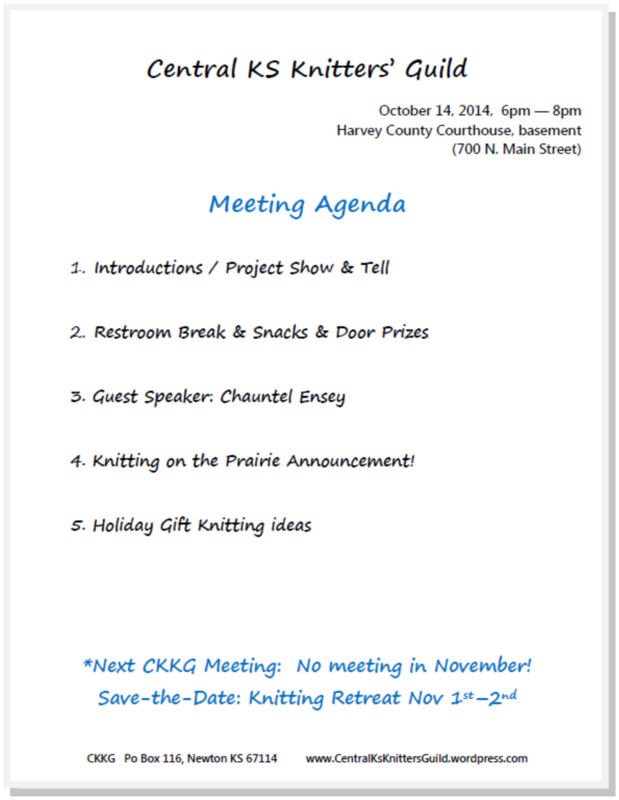 Next Next post: No Knitting Guild meeting in November!